Some readers may know that many U.K. records are subject to a 100-year closure rule. This rule restricts access to certain records during what could be expected as someone’s lifetime. 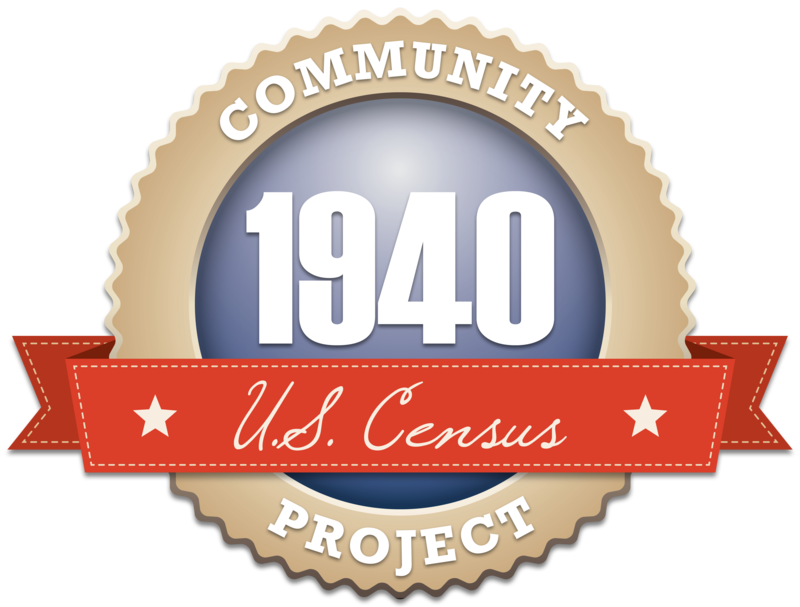 For example, it means that census details and images cannot be released until 100 years have passed. The most recent census of England, Wales, or Scotland that can be viewed today is the 1911 census. But we won’t see the next one—1921—until the year 2022! After the 1921 census, there is a huge gap in the record: the 1931 census was destroyed during an air raid, and there was no census taken at all in 1941 due to the war. 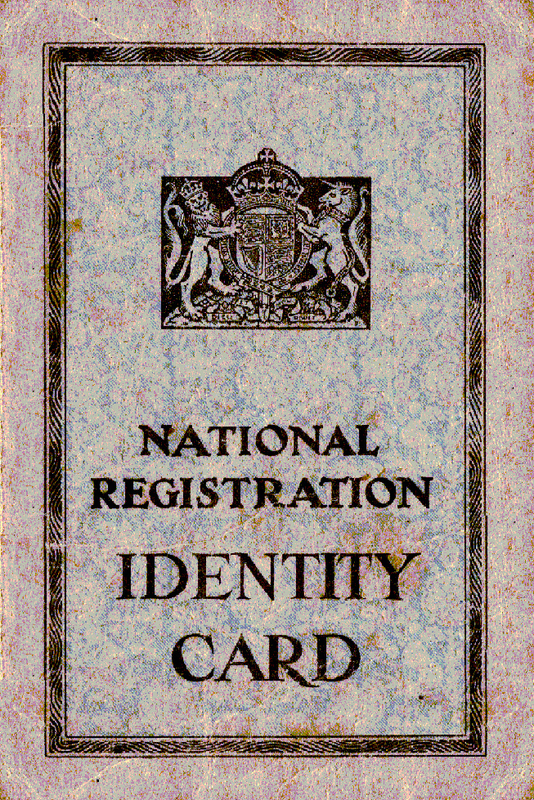 The one bright note, and something that is available now, is the 1939 Register. 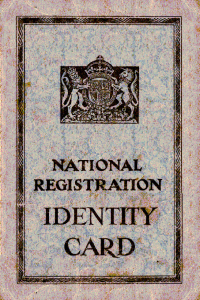 This register was a result of the 1939 Registration Act, which required the collecting of the personal details of every civilian living in Great Britain and Northern Ireland. 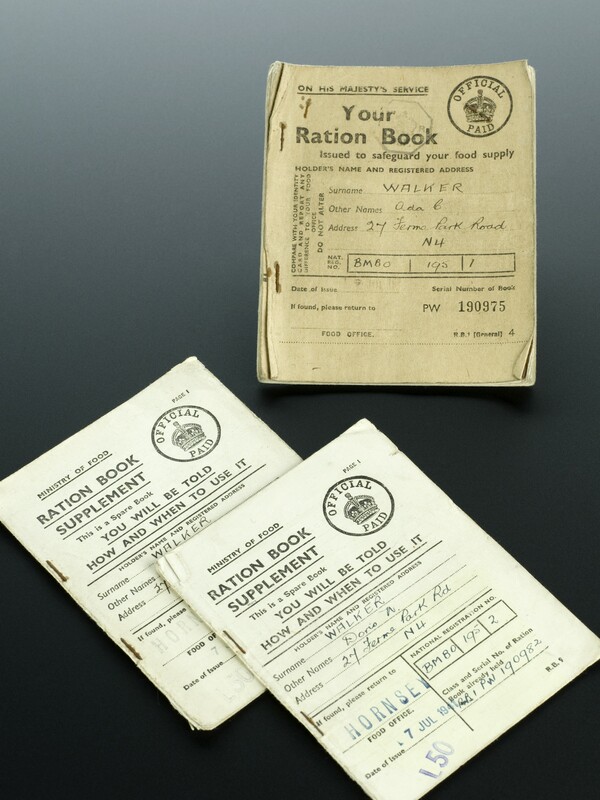 The Act was passed on the eve of World War II as a measure to assist in issuing National Identity Cards, ration books, and to determine the status of potential draftees for military service. 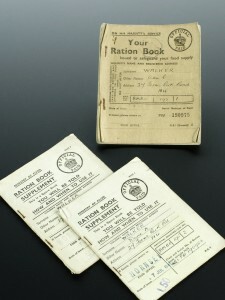 Left: Used ration book and two ration book supplements, England. Credit: Science Museum, London. Wellcome Images. Right: Front cover of National Identity Card, 1939. 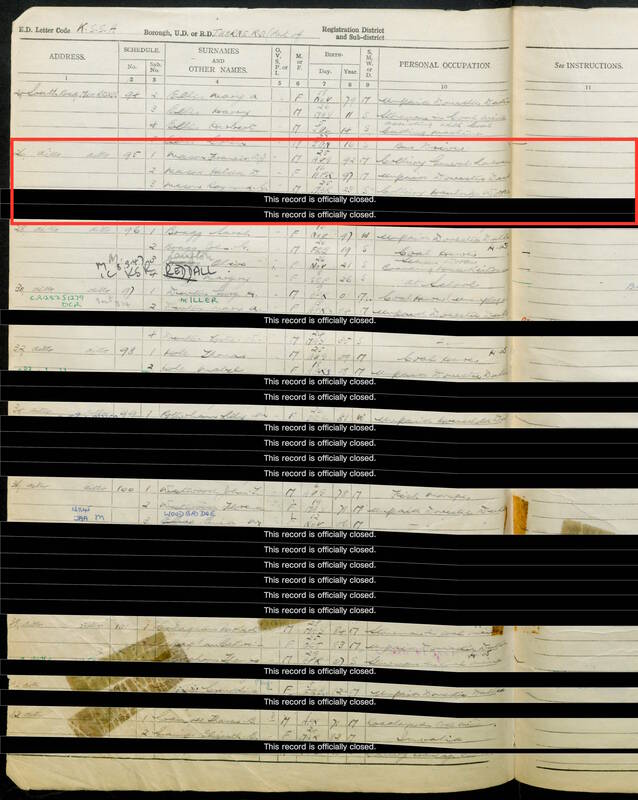 WHAT’S IN THE 1939 REGISTER? While it’s not the same as what you find in a national census, the 1939 Register is a darn good consolation prize. It includes the birth date of each person in the household, something you would not normally be able to have unless you send for (or already have) a person’s birth certificate. And it keeps track of any name changes from 1939 up until 1991. For instance you will find a single woman’s maiden surname, as well as her married name, if the marriage took place by 1991. You also get the family’s address, and the occupations of each person, just as you would see on a census. The Register was released in 2015, even though 100 years have not yet passed. 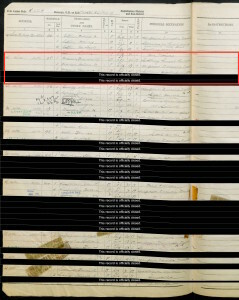 The catch is, if a person was not born at least 100 years ago at the time of the register’s online release, his record will be redacted and you won’t be able to see it. The page image will have a solid black graphic covering that line on the register. There are ways to have that undone though, if you can prove the person is no longer living. My mother and her family lived in Moorends, in Yorkshire, England. There would be no surprises in their 1939 Register entries because they had lived in the same house since the 1920s right up until the late 1970s. I knew their dates of birth and my grandfather’s occupation. But what was my mother doing then, when she would have been 14 years old? Was she still in school, or had she already finished by then? Did she have a job? I was not clear in my family stories as to when my mom worked at the Pilkington Brothers Doncaster Glass Works in Kirk Sandall before she joined the Auxiliary Territorial Service during WWII. Because my mother was born in 1925, I knew that I would not be able to see her in the register right away. 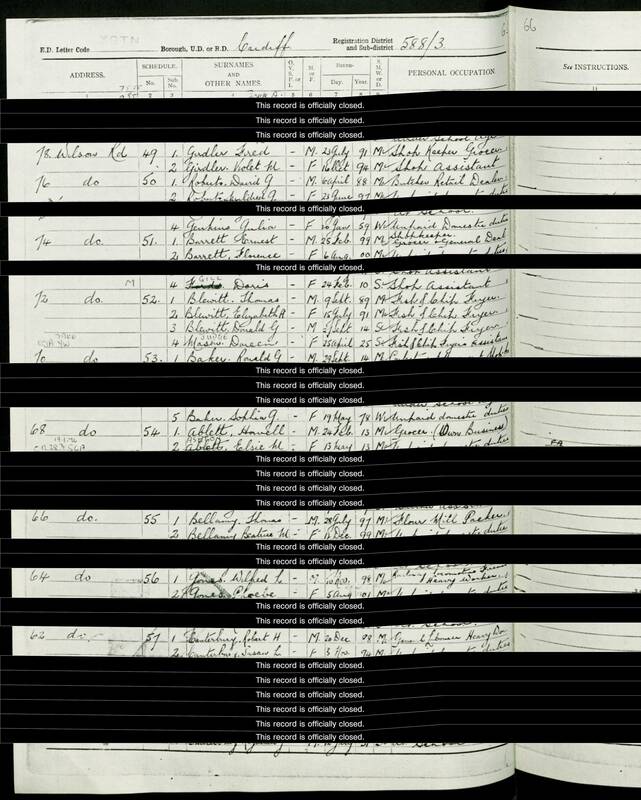 She passed away 2 years ago, but if I sent a copy of her death certificate to FindMyPast, who released the Register index and images, they would “un-redact” her record. Her parents are both deceased and were born in the late 1890s, so I could see their entries. Even one of my uncles was listed. But there were two names in the family that were blacked out. I presumed one was my aunt, who’s younger than my mother, and the other would be mom. We have investigated your request regarding evidence of death and on this occasion, the record shall remain closed. The reason for this is the name is not listed in the household. The record shall remain closed? Not listed in the household? Well then… where was she? I immediately called my sister and my dad to see if they could help. They said it was possible mom was living with her Auntie Daisy Blewitt in Cardiff, Wales at that time. My mother was sent there after she finished school to work and stay with her aunt and uncle. I remember my mother talking about working at her Auntie Daisy’s fish and chip shop. I searched for Auntie Daisy, whose proper name was Elizabeth (and maiden surname was Godwin), in the Register indexes, but could not find her or her husband anywhere. Thankfully about a month later, more images were added to the collection on FindMyPast, and at last I found what I was looking for. The Blewitts were listed, but my mother was still redacted. All I had to do was send another request with a copy of her death certificate. A few days later, she was unlocked! Yes, there she was, at 72 Wilson Road, Cardiff, Glamorganshire, Wales. With Uncle Thomas Blewitt, Auntie Daisy Blewitt, and their son Donald Blewitt. The Blewitts’ occupations were given as “fish and chip fryer.” My mom? “Fish and chip fryer’s assistant.” She always said she disliked working at the shop. One of the jobs she hated the most was peeling potatoes out back, which left her soaking wet. But at least she was making a little money. And in a few years her name was changed in the register, because she married my dad, Donald Judge in 1945. I was in touch with you briefly a few years ago. My husband is Robert Godwin. His aunt Lily Godwin was married in 1914 to Ivor Mason, the brother of William Mason your grandfather. I also note you have a connection with George Godwin. My husband’s grandfather was John Godwin [1877-1955] Lily’s father and the brother of George. We may be able to share some information in the future. By the way, have either of you done a DNA test for genealogy? Just curious. I have done mine and several other family members through both Ancestry and 23andMe.